The market for plantation shutters in Oklahoma City is full of options. And when you are figuring out which non-wood shutter fits your home best, it might be hard to discern the differences. You can pick the wrong type without knowing and wind up buying shutters that aren’t durable. When it comes to solid polymer shutters, like our best-selling Polywood® shutters, are they a better value than hollow vinyl or MDF (multi-density fiberboard) shutters? Learn about the three ways Polywood shutters are a better choice than composite shutters in Oklahoma City, OK so you can choose. Polywood shutters are fashioned from a top grade solid polymer that leads to the most rigidity, color-retention, and durability than any other shutter you can find. 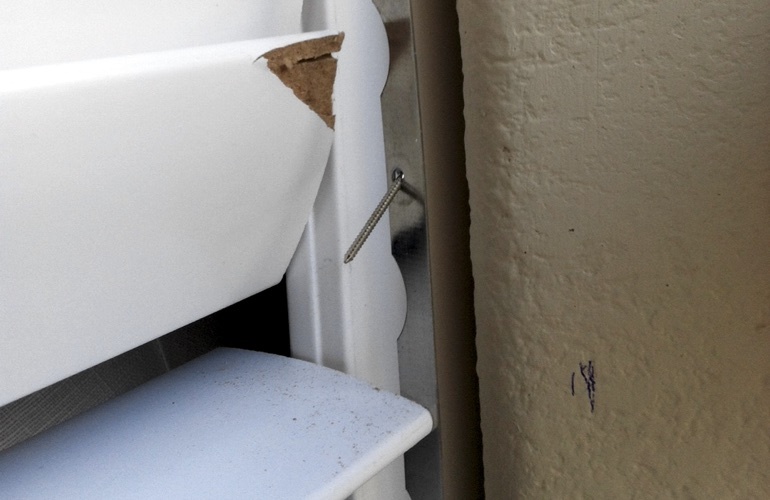 This means the shutter louvers won't be damaged over time. In contrast, composite shutters are built from a pressed-board core, enveloped in poly-vinyl. The vinyl wrapping the pressed board is likely to peel off from the core substance readily. And this peeling happens even faster in hot, humid, and wet surroundings. Hollow vinyl shutters are another option for non-wood shutters. But they disintegrate the fastest due to the material. Both forms of non-wood shutters are susceptible to deterioration and warping when exposed to the different weather conditions in Oklahoma City. Polywood is manufactured with UV inhibitors that divert heat. And since heat is the biggest problem in chipping the shutter louvers, Polywood is absolutely the longest lasting plantation shutter you can find. Polywood shutters are available in three superior white paints. Our paint finishes are baked on each piece at hotter temperatures than Oklahoma City has seen. The patented finishing process applies UV inhibitors to make sure the color never fades. Other types of non-wood shutters are available in low quality paint finish. And some composite shutters won’t even have any paint finish at all. In the majority of cases, the vinyl layer is the all the color you get. Yes, this finish appears to be adequate at first. But it fades over time. And when it comes to hollow vinyls, some are painted. With the vinyl being a heat conductor, this seriously influences the finish as time goes by. Third party tests illustrate that Polywood shutters shield against 30° of temperature and lead to reduction of heat transfer by up to 45%. With that, Polywood insulates up to 70% better than the top solid wood shutter. These insulating properties are due to the solid polymer material Polywood shutters are made from. However what makes Polywood even more energy efficient than composite shutters is the weatherstripping on the louvers and panels. All you have to do is interlock the weatherstripping pieces while closing the panels and you get a very tight seal against the weather conditions outside. You won’t find all the energy savings that Polywood offers in any composite shutter. In 2004, Sunburst Shutters Las Vegas had Polywood shutters fastened to the sides of their trucks as part of the graphics. These trucks were parked outside and withstood the climate Las Vegas is known for. That means excessive heat for almost five months each year! The Polywood shutters had been fastened to our trucks for almost 7 years. Our team conducted an investigation to see how effective Polywood is in retaining the original paint color. So we wiped the Polywood shutter that was on the truck clean. And we held up a new Polywood shutter next it for comparison. The color hadn’t changed one bit. There was no fading or discoloration. It was further validation for us that the Sunburst paint finish is truly top quality! And with Polywood withstanding that much abuse and heat travelling on a truck for over 7 years, it’s undoubtedly the strongest shutter for your residence in Oklahoma City, OK.
Want to know more about Polywood shutters? Call 405-300-4664 for an in-home design consultation. Our professionals bring you samples of all the louver sizes, frame styles, and color options available. We measure the length and width of your windows to give you the most precise shutter estimate. And we install your Polywood shutters so that they fit your window just right. Our professionals also share with you the fine points of the lifetime warranty we provide for these shutters. Call 405-300-4664 or fill out the form below to schedule your free in-home design consultation today!